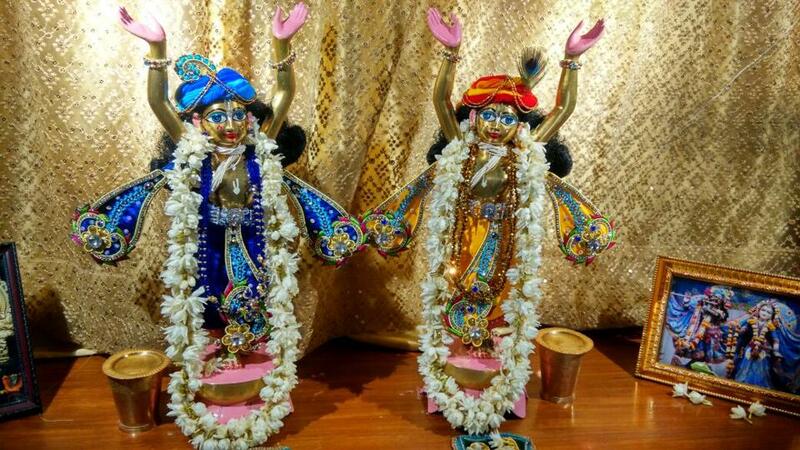 HINDUSTANTIMES: The twin idols of Gaura and Nitai, valued around Rs 1.5 lakh, were been stolen from Iskcon preaching centre in Greater Noida. The idols are worshipped as avatars of lord Krishna and Balram. According to the police, the thieves entered through the window and decamped with two idols of deities made up of Astadhatu (an alloy consisting eight metals including gold, silver, copper lead, tin, zinc, iron and mercury) and a donation box kept in the preaching centre. “The theft must have been carried out between 12 midnight and 2 am when the devotees were sleeping on the first floor of the preaching centre in Delta – 2 Sector in Greater Noida. The idols were kept on the ground floor of the building,” said Manish Saxena, the station house officer of Surajpur police station. The thieves apparently used screw drivers to remove screws of window grill and gain entry into the temple, Saxena said. Shri Chaitanya Das, a youth preacher at the centre said the idols of Gaura and Nitai were missing from the sanctum when the devotees woke up in the morning. Das said, “Generally all the devotees sleep on the first floor of the building and the ground floor, where the idols were kept, is left empty during the night. Our days generally start a bit early around 3 am. On Saturday morning, when one of the devotees woke up and went to the ground floor he found that the idols were missing from the preaching hall,” he said. The twin idols, each about 1.5 feet tall, were missing along the donation box, which contained about Rs 20,000 – Rs 25,000, Das said. The hall was not fitted with CCTV cameras, he added. Surajpur police have registered a case against the unidentified persons and investigating further into the matter.